Jermaine Dupri, also known as JD, was born in Asheville, North Carolina, USA (September 23, 1972) who is a musician, producer, rapper, and actor. For the first time in 1990, he was the producer of the Silk Tymes Leather group. In 1991 he founded So So Def Recordings in Atlanta. Kris Kross’s first album, Totally Krossed Out, was released by So So Def in 1992, and the band’s first single, “Jump”, was number one on the US lists. In 1998, Jermaine Dupri released his debut studio album “Life in 1472” on his behalf. The album included names such as Jay-Z, Kanye West, DJ Premier, Snoop Dogg and Slick Rick. In early 2000, Dupri took on the producers of names such as Lil Bow Wow, Da Brat and Jagged Edge. His second album, named “Instructions”, was released in 2001. In 2004, Dupri and Usher came together for the “Confessions” album. The following year, he and Mariah Carey worked together on “The Emancipation of Mimi”, and the song “We Belong Together” remained at the top of the Billboard Hot 100 for 14 weeks. The song won two Grammy awards in Best Female R&B Vocal Performance and Best R&B Songs. How tall is Jermaine Dupri? Jermaine Dupri’s height is 5′ 3.5″ (161cm). Who with did Jermaine Dupri collaborate? 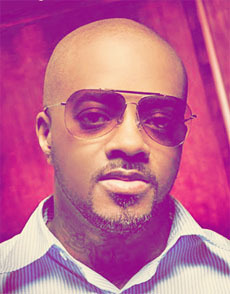 Jermaine Dupri has collaborated with various singers and rappers such as Ashanti, Bow Wow, Nas, Xscape, Ludacris, Da Brat, Monica, Mariah Carey, Johnta Austin, Tamia, Janet Jackson and Hot Dollar.